Seven years ago my oldest son posed a question to me: “Hey, dad! You’re all going to sort out Catalonia’s problem with Spain, aren’t you? The dramatic chain of events that has recently unfolded, leaving most citizens in Catalonia and Spain perplexed and full of negative feelings, has led us to think that we are miles away from common ground and that, whilst unsatisfactory, the past is better than the future. Perhaps so. But the opposite might be possible, too. There is a silver lining to the drama that we are living today: it has awoken every conscience, even those that were irresponsibly asleep. Now that not only Catalans, but a great deal of people in Spain and Europe know that there is a serious problem, it is our duty to find an intelligent solution and, if possible (as our children demand), a definitive one. Whether we are on the right track to a satisfactory solution will depend largely on what happens over the next few days and it is president Puigdemont’s job to respond to the diabolical dilemma posed by the Spanish government’s formal request [to clarify if independence has been declared or not]. We know that his answer must be firm, with a firmness that can neutralise the violence that the Spanish government has unleashed since October 1. We also know that it must carry the strength that stems from holding the higher moral ground. And it is from that ground that we can build bridges with the citizens of Spain and Europe, who are our natural allies. 21st century Europe is also the Europe of citizens. 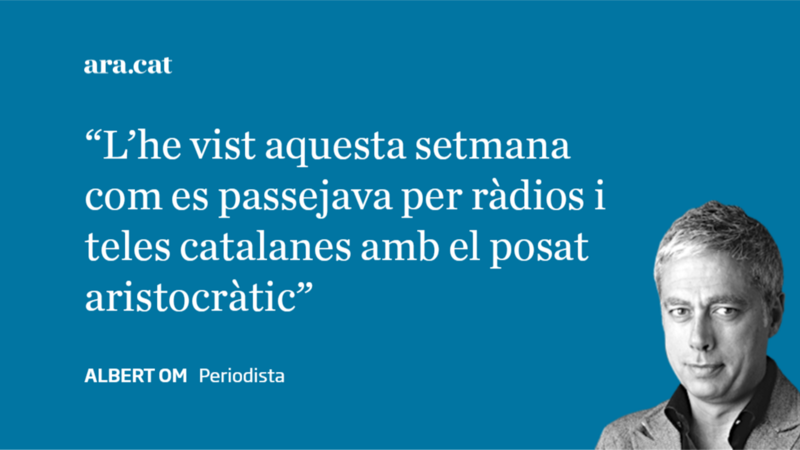 We also know that Puigdemont’s answer must be binary: either “Yes, independence was declared” or “No, it wasn’t”. This would appear to be a further complication because the current situation requires nuance, but it might afford us the advantage of clarity, which goes hand in hand with firmness. An affirmative answer has an argument in its favour: it is the outraged voice of the people, shocked by the violence on October 1. But it has much going against it. The main downside is that it will lead to further violence. I am certain that Spain’s PP government will use a declaration of independence as an excuse to double up its efforts to finish off Catalan self-government and will use the criminal code against all citizens and institutions who allegedly espouse Catalan independence. We have entered a spiral that will upset social peace, which is the most precious asset, as far as Catalans are concerned. Anyone who disturbs social peace will lose the higher moral ground, even by being the passive recipient of violence. Likewise, anyone who strengthens social peace will gain the higher moral ground. The second argument against a unilateral declaration of independence is that of democratic radicalism. Independence supporters have been making one mistake since September 2015: they believe that they have a social majority in terms of popular vote when, in fact, their only majority is in parliamentary seats. The referendum —which was held without Madrid’s consent— is not enough to receive the endorsement of the international community. A declaration of independence —or changing the legal framework— would deprive the president of the moral authority in the eyes of Europe and most of the Catalan people, who are radically democratic. Equally important is the fact that a unilateral declaration would also be a blow to the social union with Spain. Besides a political tie, there is a social bond between Catalonia and Spain and these two do not always run parallel. 70 per cent of Catalans also feel Spanish, to some extent. Half of the Catalan people want a referendum and nearly a third would say Yes to independence. Spanish and Catalan people are united by tight cultural, historical, economic, family and sentimental bonds which, partly due to the disassociation I mentioned earlier, rise above the political divide to form a social union. This union is an asset which Catalan voters (including independence supporters) do not wish to lose and any political option should cherish and celebrate it, if they want to win over the majority in Catalonia. On October 1, the Spanish government dealt a blow to the social union with Spain like nobody had ever done in the preceding decades, trying to open up an internal rift that is at odds with the Catalan collective imaginary and does not exist in our society. The conduct of some Madrid-based media points in the same direction. It is a major error. But a unilateral declaration of independence, particularly because of its lack of democratic legitimacy, would have a negative impact on this union and, for the first time, “the Catalans” would be the separators. Finally, there is the argument of leaving the status quo behind. Following the Constitutional Court’s ruling against the new Catalan Statute in 2010, many Catalans now say that they want a State that supports them and 75 per cent believe that Spain isn’t it, while 45 per cent think we should build our own. The latest opinion polls suggest that 82 per cent of Catalans believe that a referendum is the best way to resolve this conflict (57 and 49 per cent in the case of Ciudadanos and PP voters, respectively). Indeed, it is: when you win by a majority of ballots, you have the moral authority and, therefore, the power, as opposed to a scenario of a unilateral declaration in the current circumstances. To me a unilateral declaration of independence is a colossal trap that would appease the separatist hotheads who are in a big hurry, but would push the president, the movement he leads and all Catalans into a corner. The Spanish people, too. Obviously, there are elements connected with the Spanish government who have been hoping for a unilateral declaration for a long time now, as this would provide the perfect excuse to take over the very foundations of Catalan society, such as our school system, public media and police force. This evidence alone should be enough for all of us, Catalans and Spaniards, to pause for a moment and reflect. At the same time a unilateral declaration would mean disobeying Europe as much as Spain, when the former (the umpire) has publicly asked Puigdemont not to declare independence, in what constitutes a worthy, lifesaving gesture. The president would cease to be everyone’s president and Catalonia would lose its self-rule for many years to come, I am afraid. This option would not be “a step forward”, but evidence that we cannot stop to speak firmly when required. There is no firmer action that non-violence and standing up for our democratic rights. 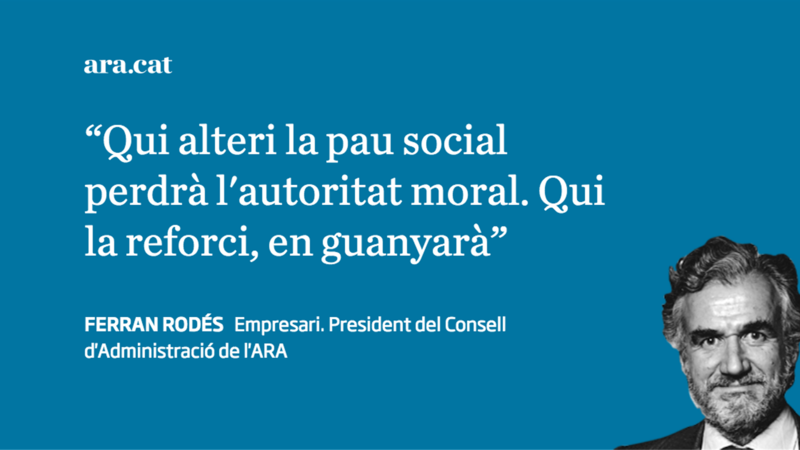 If president Puigdemont chooses to preserve Catalonia’s self-rule, he will become the main guarantor of social peace and democratic rights in Catalonia, as well as everyone’s physical and material safety. 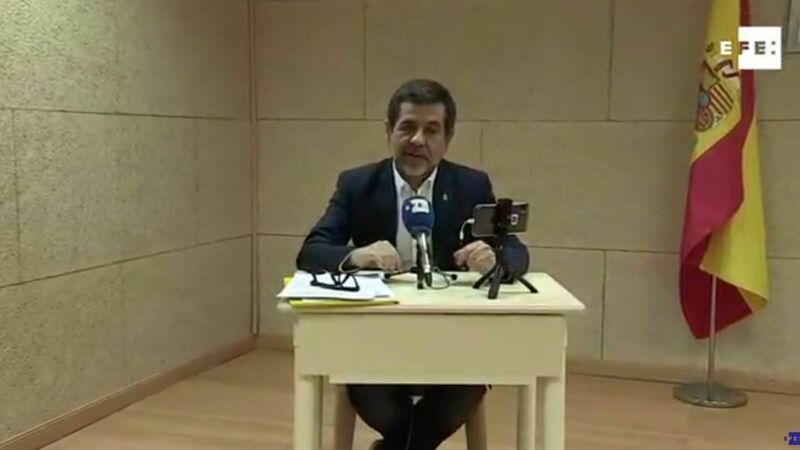 He will state that he cannot admit the violence unleashed by the Spanish government on October 1 and, later, their denial of those very incidents. That violence jeopardised the safety of Catalans and the social union with the rest of Spain and individuals must be held accountable for it at all levels. He will also voice his willingness to preserve Catalonia’s institutions and self-rule, which are being threatened today. And he will make it clear that, as leader of his political party, he will not renounce any of his objectives. Catalonia demands a democratic solution. 82 per cent of Catalans want to vote. Spanish society should know that when Spanish police officers were about to baton-charge against the crowds on October 1, the people they were facing was chanting “We are peaceful people, we just want to vote”. The responsibility does not lie exclusively with president Puigdemont, but also with PM Rajoy, who should have applied Plato’s adage: “Civilisation is the victory of persuasion over force”. And persuasion, the absence of violence and the democratic solution would make it easy for me to give my oldest son a positive, hopeful answer.